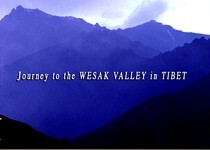 held annually in the Wesak Valley in the western region of Tibet. See the DVD page for more details. These beautiful 500 x 750mm prints on matte or glossy paper will add an aura of Shamballa energy to your home.